Salman Khan, who hosts reality show 10 Ka Dum, recently opened up about 'flirting with his school teacher' on the sets, news agency IANS reports. While shooting for an episode, Salman revealed his story, after a question about Indians falling in love for the first time with their school teacher popped up. Salman said 'he used to flirt with his teacher when he was in school.' He also mentioned about "dropping the teacher home on a bicycle and how he had removed the carrier to ensure that he got the teacher to sit in front of him," a statement read, IANS reported. "It is impossible for someone to not have a crush on their teacher. Most people won't admit it, but I openly say that I used to flirt a lot with my teacher," Salman added. On 10 Ka Dum sets, Salman had earlier revealed the 'instruction' his dad Salim Khan gave to him and his brothers about their girlfriends. "My father gave me a clear-cut instruction when it came to girlfriends. He gave us the permission to spend time at home rather than roaming around the city," IANS quoted Salman as saying. "The same instruction was applicable to my sisters as well. If they have any good man in their life, they should first tell their parents and not hide anything from them. He has given us the right to take the decision on whom to marry and whom not to marry," Salman said. Salman is rumoured to be dating Romanian TV presenter Iulia Vantur. Previously, he reportedly dated actresses Sangeeta Bijlani, Aishwarya Rai Bachchan and Katrina Kaif. 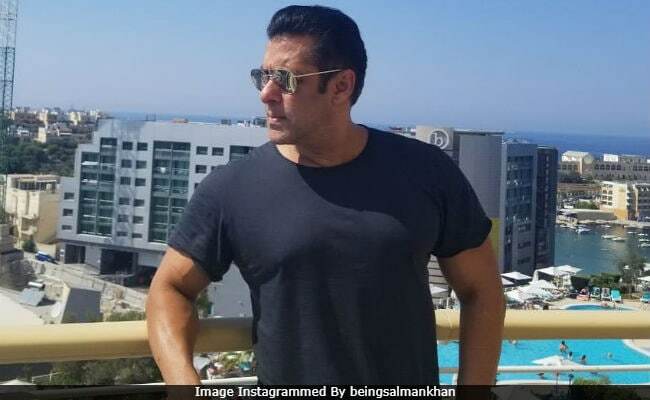 Salman Khan, 52, is currently filming Bharat in Malta. It's the same film which Priyanka Chopra quit some weeks ago. Katrina Kaif has replace Priyanka in Bharat, also starring Tabu, Disha Patani, Nora Fatehi and Sunil Grover. Bharat, directed by Ali Abbas Zafar, is slated to release on Eid next year.